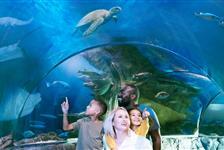 Get up close to aquatic life at Aquariums in Gatlinburg TN. The whole family will enjoy tickets to Gatlinburg Aquariums. 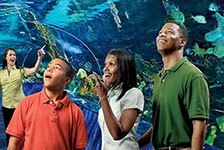 Discover all marine life in a variety of environments and explore the colorful world of “life under the sea.” Reserve tickets online to receive special savings.